A Nightmare on Elm Street was inspired by a true story.Craven got the idea for the film after reading several newspaper articles in the LA Times. They were about immigrants from Cambodia, in the 1980s, who died in their sleep during horrific nightmares. Hence, Wes Craven wrote a story revolving around this fact and got inspired to create a serial killer who wilfully and repeatedly followed and watched victims while they were sleeping. Freddy Charles alias ‘’Freddy Krueger’’ is the scary burnt serial killer. He uses a glove armed with razors to murder his defenceless victims. Apparently, Wes Craven named the serial killer after the boy who bullied him, Fred Krueger. 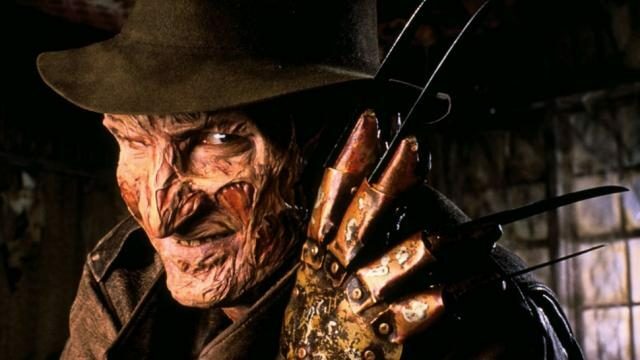 In addition, one of the person who inspired the fictional character ‘’Freddy Krueger’’ is a man who used to frighten the director when he was a kid. Behind the red and green stripes of Freddy Krueger’s famous jumper, lies a story. Here we go. It is said that Craven got the idea of the jumper by reading a science journal named Scientific American. In the article, they said that red and green were the two most clashing colours to the human retina. So, the next time you see a red and green jumper, buy it! Who knew that killing a rat could give rise to a critically acclaimed horror movie? One of the reasons, Craven developed a profound interest into horror movies was by killing a rat with a bow and an arrow in his childhood. Killing that rat wasn’t that easy, indeed it took him numerous attempts before the rat could rest in peace. He discerned that killing something requires a lot of effort and he was scared to death. The infamous bladed glove was inspired by Wes Craven’s cat. Craven used to watch his pet clawing the side of his cough at night. It is said that each time someone did use that glove that person would get injured because it was extremely sharp and if that person closed his fist the blades would cut his arm badly. The first time that Robert Englund, the actor behind ‘’Freddy Krueger’’, put on the famous glove he cut himself. Have you ever asked yourself why Craven chose to name the street, Elm street? Elm Street was the name where John F. Kennedy was assassinated. He said that it’s the street where innocence ended. On September 13th (a Friday the 13th), Tom Bradley who was at that time the Los Angeles Major declared a ‘’Freddy Krueger day’’ and a lot of people was infuriated by this. If you want to get some Goosebumps, join https://www.moongames.com/– a casino site where you can overcome fears and play a game inspired by the movie.